Small: 16 x 12" Medium: 24 x 18" Large: 36 x 24"
Your monthly planning just got easier! Fun Dry Erase Photo Calendar Decals that never expire. 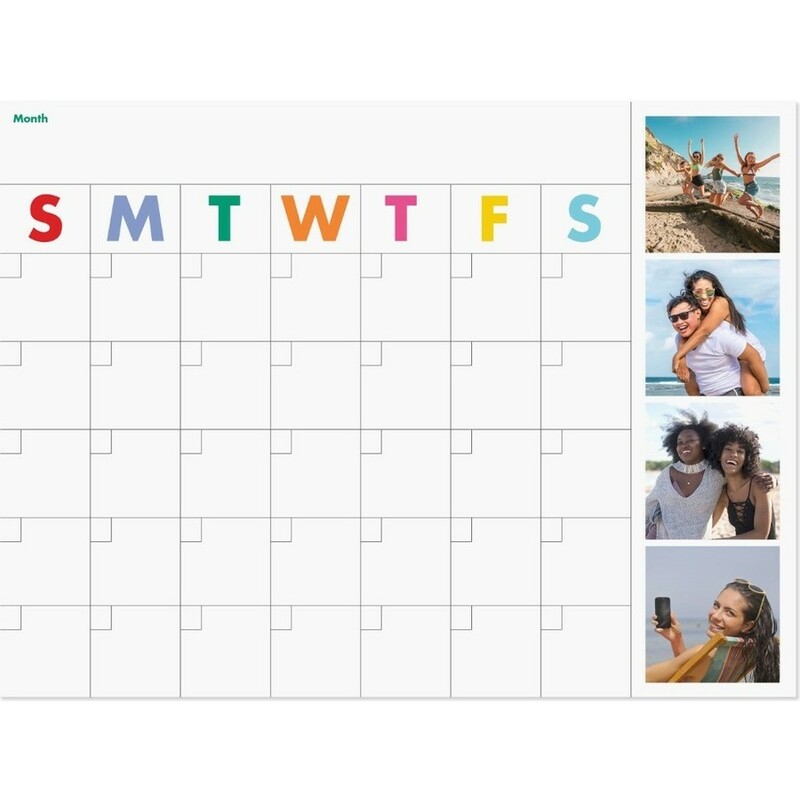 With sizes that go as small as 16 x 12" and as large as 36 x 24", choose the calendar that best fits your space. It's a perfect fit for at the office, in the dorm, or at home. Grab some colored markers and get to planning! Apply your decal to a clean, dry and smooth surface. Decals can be removed and reapplied to a different location for up to 3 months. After that, it may not stick as well. Watch our video on how to apply your decal.